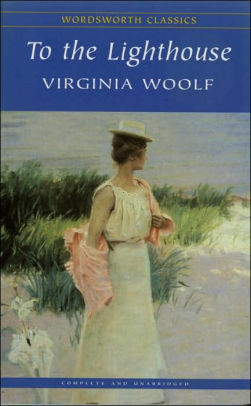 This one is by far my favourite Woolf. Stream of consciousness writing is not my favourite but for some reason this novel grabbed me. It’s almost as if you have to FEEL it instead of read it. Ah, just reading your review makes me want to read it again. Just lovely! I’d like to read this again too, I think it,s definitely one that will change with every reading. Thanks. It’s on my list. I couldn’t get into Mrs Dalloway when I tried a few years ago. But I plan to try again, and I hope I can enjoy this one. Nice and encouraging review! I read The Hours by Michael Cunningham before Mrs. Dalloway, and I think that helped. I liked Wide Sargasso Sea, so maybe I’m not the one to ask. I read this one a few years ago and was rather underwhelmed by it. I really didn’t like the writing style. It was something in the air of the whole story, the place, the people and the personality of Mrs Ramsay. Without her, nobody was anything. This book was recommended to me one year by a Instagram book buddy but since I borrowed it from the library I didn’t get a chance to read it. Fast forward to Mrs Dalloway and I had a hard time with that one. There were parts I thought beautiful but I think overall I missed a lot with the stream of consciousness and wish I had someone with more experience with Woolf to discuss it with. So when I was at the bookstore last year I decided to pick up To The Lighthouse and I’m still a little nervous. But after reading your review I feel more prepared to take it on but giving my attention to the relationships. Thank you for giving me something to look forward to. Woolf doesn’t seem like full-throttled stream of consciousness to me. Try Faulkner sometime! Ha ha ha! Depends on what it is, but look out for The Sound and the Fury or As I Lay Dying! I’m pretty sure I read that a long time ago, but I don’t remember it very well, so I’m not sure if it is written in stream of consciousness or not.